Starting in May 2016, Norwegian Air will fly to Cork, Ireland, from Boston, and then, in 2017, it will start flying between Cork and New York. 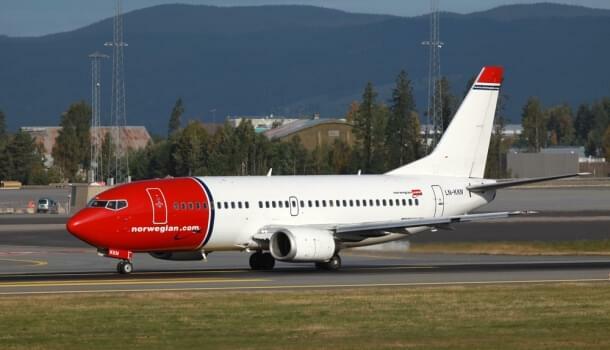 These new routes will give both U.S. and European travelers access to more connections and the low fares that Nowegian is known for. In the U.S., Norwegian Air already flies to London Gatwick from New York, Los Angeles, Orlando, Fort Lauderdale and Boston, with airfares starting at only $167. The cost of tickets on the new routes are expected to be in the same range or lower. Norwegian Air’s loyalty program, Norwegian Rewards, offers members CashPoints for using one of the airline’s hotel or car rental partners. CashPoints can be redeemed for part or all of the cost of a ticket on Norwegian, as well as for extra baggage, seat reservations, change fees and more. The new routes are part of Norwegian Air’s plans to expand further into the U.K. and U.S. markets. The flights will depart from Boston to Cork four to five times a week. The carrier plans to fly the next-generation Boeing 737. It features the new Boeing Sky Interior, which includes more spacious, pivoting overhead bins and dynamic LED mood lighting. 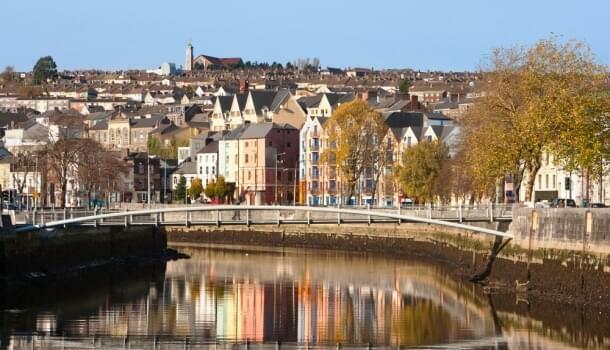 Cork, the third-largest city in Ireland, is located in County Cork. Once you’re there, you ‘ll no doubt cross more than your fair share of bridges. That’s because Cork was once a small seaport town on an island that has since spread out over both of the banks of the River Leel; in some places, the area’s rivers and channels even run underneath the city streets. One of Cork’s greatest charms is its residents. They’re always up for a chat, so heading to the pub for a pint is a must while you’re in town. Popular with both locals and visitors, the English Market feels as if it hasn’t changed for hundreds of years. Be ready to eat, as it has many options for snacks and meals, as well as more typical market fare, such as fresh produce, fish, bread and cheese. Other popular landmarks nearby include Fort Camden, Fota Wildlife Park, St. Anne’s Shandon Church and Cork City Goal. The Ballycotton Cliff Walk spans five miles, with emerald meadows on one side and the sea on the other. Bikes and cars are not permitted. Spike Island, in the middle of Cork harbor, was once settled by monks. It now offers a quiet refuge to the public, and it’s home to Fort Mitchel, an 18th-century fort open to visitors.